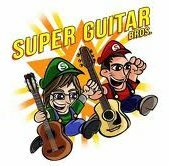 Treon's Realm has featured fan renditions of some of the greatest game music of all time in styles such as Rap, A Capella and Orchestra but I have yet to find an acoustic group that I really wanted to feature, that changes today with the discovery of the Super Guitar Bros. These guys have put together some stunning pieces that will delight your ears and kick your inner nostalgia into overdrive. They generally perform excellent medley pieces that cover many of the classics but I found out about them through their recently uploaded cover of the Main Theme from the time traveling RPG Chrono Trigger. If you liked their take on Chrono Trigger, please check out their other work below and be sure to follow them on YouTube and Facebook. Enjoy and be sure to follow Treon's Realm on Twitter!